Welcome to Edusites English WJEC Eduqas GCSE English Language Component 1: 20th Century Literature Reading and Creative Prose Writing Assessment Pack. Click on the links below to access a sample paper, marking guidelines and indicative content. 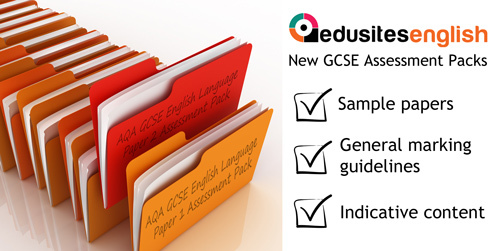 These packs have been developed by experienced English assessors with extensive awarding body experience and by people who were very closely involved in the development of these new specifications within the awarding bodies, with Ofqual and the Department of Education. They have been thoroughly reviewed and edited after feedback from independent scrutineers to ensure they are both authentic and accurate. These mock papers are structured exactly as the awarding body question papers are, using all the texts on the relevant specification and they offer a series of unseen material for assessment too. Also included is marking guidance for each component, with a clear explanation and reinforcement of the appropriate assessment objectives and a set of indicative content for each question on the sorts of points the student response may include. This indicative content is divided into the appropriate assessment objectives to support teachers in the marking of these papers.